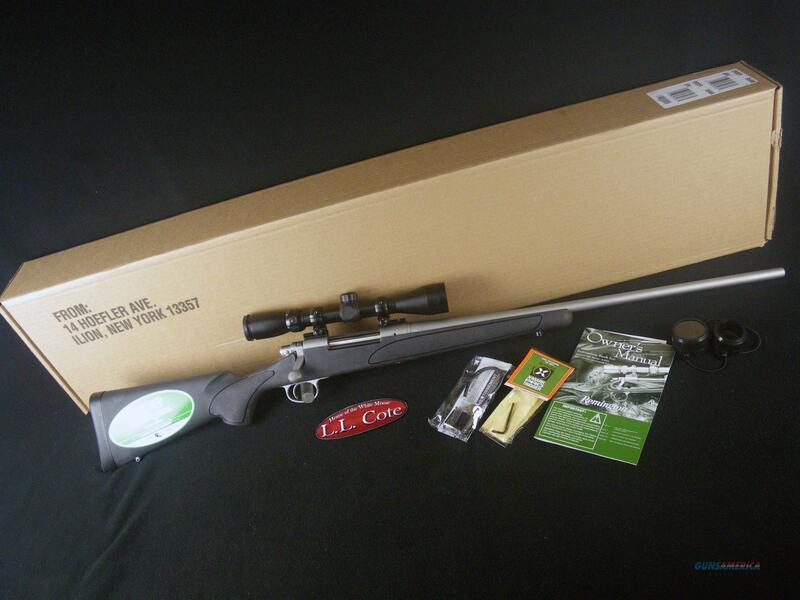 Description: You are bidding on a Remington 700 ADL Stainless W/Scope in 308 Win with a 24" barrel. World's most unconquerable. Infinitely configurable. The world's strongest, most accurate bolt-action rifle is adaptable for every application and pursuit. Available with a host of industry leading features in several SPS and ADL offerings, and a long list of chamberings, there's a Model 700 configuration to match any hunting or shooting purposes and budget. Displayed images are stock photos. Any questions please feel free to ask (our phone number is in the additional information tab above).